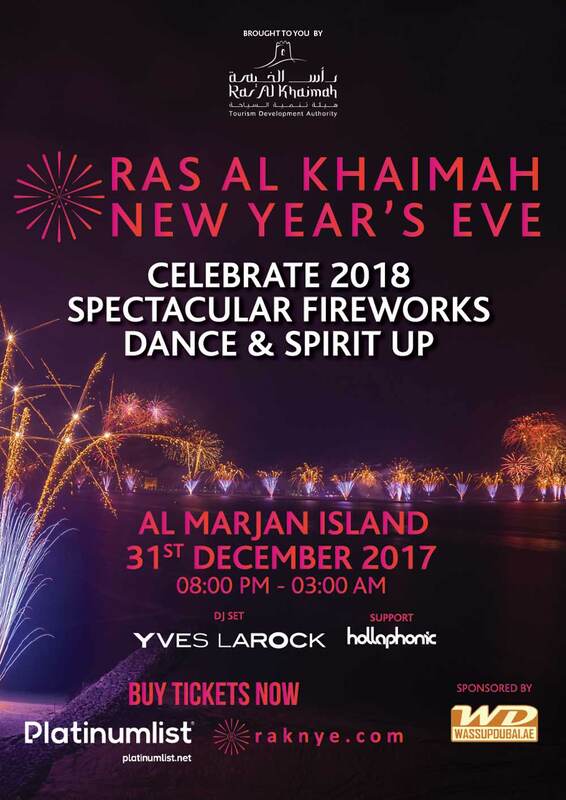 Ras Al Khaimah New Year Eve at Al Marjan Island with Yves Larock & supported by Hollaphonic from 8 pm till 3 am. Spectacular Fireworks by world leaders fireworks by Grucci, the same company behind the record-breaking fireworks spectacle in Dubai in 2014. For more info or to purchase tickets, log on to www.raknye.com. For VIP Table reservations call 050 207 1082. Its 18+ event (ID Required). Alcohol will be sold to 21+ (ID Required).